You should inform people that you are on Instagram, so get the news out! 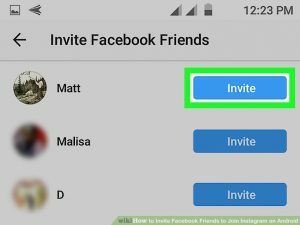 At first, when you sign up, you will be given the option to share your new account with your Facebook friends and phone contacts. You should also promote your Instagram account on your other social media channels, like Facebook, Twitter, and LinkedIn. Add an Instagram Follow Button to your site And let your subscribers know with a quick email blast. But remember, it’s not just about telling people that you’re on Instagram, it’s about giving them a strong reason to follow you on Instagram. 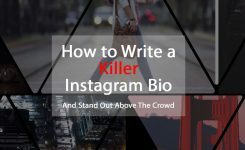 When creating your Instagram account, you should clearly define your targets to your followers. You should explain who you are and what are your skills. What makes your brand special? Think through who you are targeting with your social media plan on Instagram when creating your account. It’s ok to be funny and creative in your bio, mainly if it makes sense to your target audience. GoPro’s Instagram account shows off an innovative and informative bio. “We make the World’s Most Versatile Camera. Wear it. Mount it. Love it.” In addition to your description, you can also include one clickable link to your landing page or your website. This is an essential part of creating an Instagram account, so think through where you want your audience to go. Instagram is using hashtags for the search and organization purposes. Unlike Twitter, you can apply up to 30 hashtags. You should use at least 11 hashtags to get the highest level of engagement. Look for trending hashtags by searching on Instagram, make sure they are related to your business. This helps you attract new followers to your Instagram account. You should also remember that social media is not a soapbox. Make sure to engage with your audience by liking and commenting on their posts. If someone has posted a picture of your product, reach out, like or comment on that post. Additionally, don’t forget to observe and like brand mentions. The human connection should always be at the center of any social media strategy. 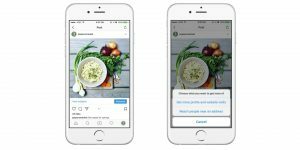 You should be active and consistent on Instagram, and if you don’t have the time to always be present on Instagram, you can use Instagram automation tools like Instagram bots and post schedulers. They would help you look more active and gain more Instagram followers. Cooperating with Instagram influencers in your industry is a great way to promote your brand. 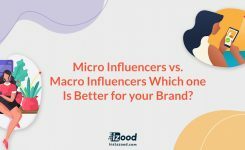 When reaching out to an influencer, you should consider what you have to offer them. You have to answer their question of: “ what is in it for me?” before asking them to do anything for you. There are many ways of promoting your posts on Instagram to gain exposure for your brand.you can purchase Instagram ads, this way you are guaranteeing that users will see your posts and if they like your products and your content, they will follow you for sure. Also, one of the best things about boosting your posts on Instagram is that you can go after your ideal target audience. We hope you find this article helpful. 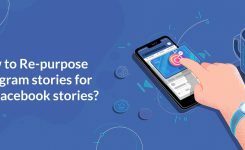 Don’t forget to leave a comment and let us know if you have anything to add to this article or you have questions.